You are currently browsing the archives for the tag 'australia'. 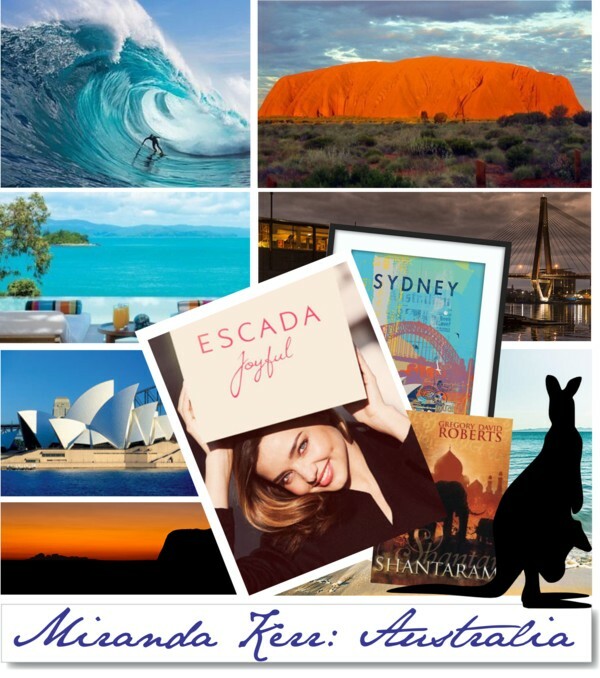 Supermodel and beauty entrepreneur MIRANDA KERR shared her travel tips for Australia with us. The country where she was born and raised. Surrounded by farmland and wilderness in the small town of Gunnedah, NSW, her love for nature and organic living became an intrinsic part of her life from a very young age. I love SYDNEY. It has everything, beach, harbor and the convenience of a city. It only takes a 20 minutes drive to get to the beach from the city centre. The QUALIA RESORT up north. A remote, private and beautiful place to stay on a private island on the Great Barrier Reef. The BOATHOUSE ON BLACKWATTLE BAY in Sydney, yummy food in good atmosphere. The BONDI TO BRONTE BEACH WALK – it is a wonderful way to see a litte bit of the coast line and experiencing great energy. SHELLY BEACH AT MANLY – A lovely sheltered cove and one of Sydney’s best aquatic reserves. It is so beautiful there. You can see the harbour from the beach. NATURAL PROGRESSION – A cute natural health and beauty shop located on Bondi Beach. A SUN HAT to protect the skin, a must when visiting Australia. “LAND DOWN UNDER” by Australian new wave rock group Men at Work. The lyrics are about an Australian traveller circling the globe, proud of his nationality. My favourite book is “SHANTARAM” by Gregory David Roberts, such a captivating story. 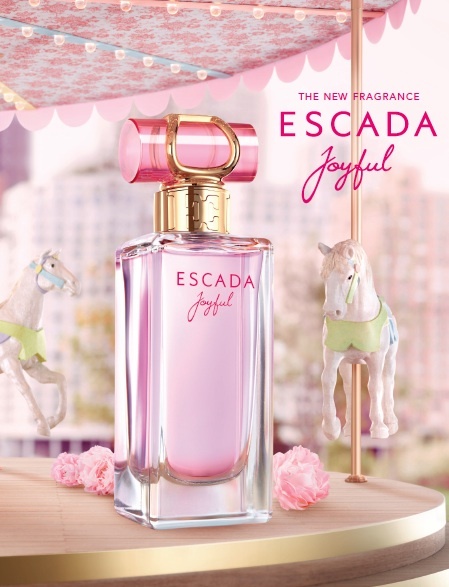 JOYFUL BY ESCADA. It encourages positivity and confidence to see the bright part of life and I am happy to be its face. I think of the SMELL OF FRESH RAIN, the SMELL OF CHRISTMAS, because we have those Christmas beetles that are really strong in the countryside where I grew up. Thank you, Miranda, for sharing your insider scoop on Australia with us. Yesterday I had the pleasure to interview supermodel Miranda Kerr for a very interesting project that will be revealed soon in L’Officiel Switzerland (and of course on Sandra’s Closet). Having the chance to talk to her, I was totally curious to find out more about her amazing skin care line KORA ORGANICS by Miranda Kerr that I adore. The twenty-one-piece lineup of face and body essentials is as eco-luxe as it gets. 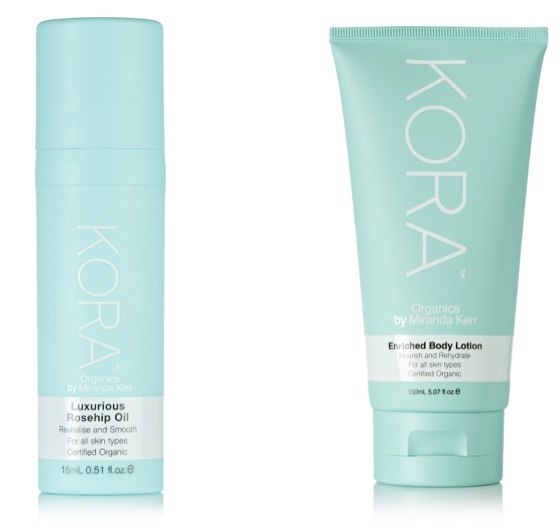 Her bestselling products are the Luxurious Rosehip Oil and the Enriched Body Lotion. TO SHOP KORA Organics by Miranda Kerr, PLEASE CLICK HERE. Try the line, I can absolutely recommend it!